Kitchen! Kitchen! 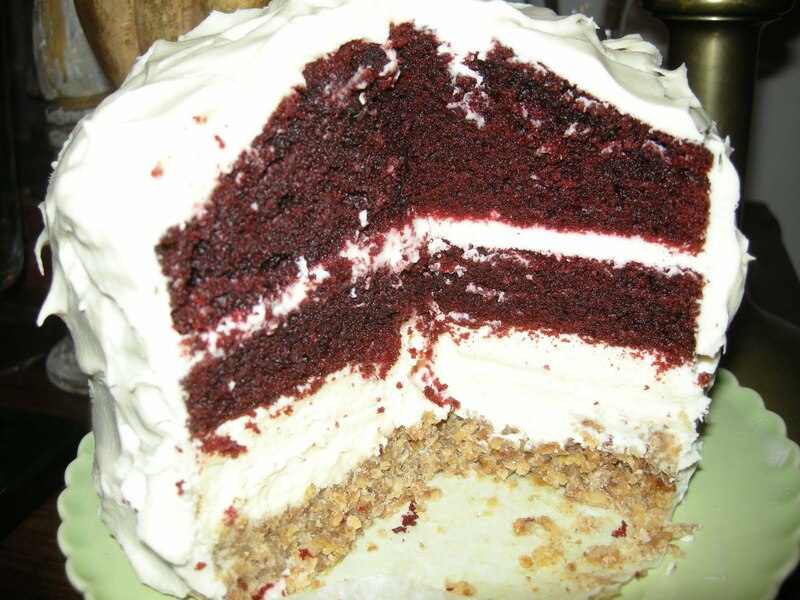 : red velvet cheesecake...for tarts & quiches...at kitchen! kitchen! red velvet cheesecake...for tarts & quiches...at kitchen! kitchen! A decadent Red Velvet Cheesecake only at kitchen! kitchen! A delightfully, delicate and to die for dessert! What could be more decadent than having moist layers of red velvet cake and the creamiest of cheesecake. It's like hitting 2 birds with one stone. The crust is nutty with a bit of crunch that makes your palate do a somersault with delight. Covered with Tarts & Quiches cream frosting. Make this your ultimate dessert!